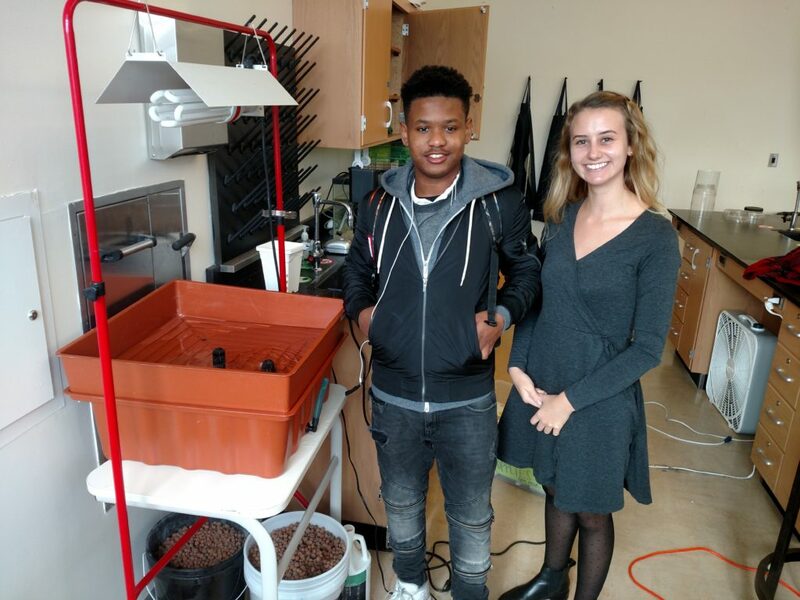 Jajuan and Ms. Mus just finished setting up this hydroponic system at Anacostia Highschool. They plan to stock the top grow bed with small pots filled with hydroton clay media (pictured in the buckets below). They also plan to feed the plants with liquid hydroponic nutrients. So exciting. I can’t wait to hear more about this project and follow Ms. Mus and Jajuan as their project unfolds! Previous Previous post: NOSB Gives Organic Aquaponics the GREEN Light!